We refresh our wardrobes, closets and home decor when the seasons change but do we do the same with our make up bags? I know I have found myself digging into my makeup bag to find old products that I probably should have thrown away years ago. Let’s face it, that year-old concealer tube at the bottom of your bag, covered in last Halloween’s gaudy eye shadow is probably not the healthiest for your skin and most likely deserves to be tossed. So this season I did a bit of a refresh: I purged a bunch of products to make room for bright shiny new ones. It was so worth it!! Anyone else out there feel like a kid in a candy store when you enter through the glorious doors of Sephora? I know I do! As a makeup junkie, I love testing new products and always leave the store with way more then planned—plus those travel sized products in the checkout line get me every time. Because of that, I usually order most of my beauty products online, but one thing I don’t trust the internet to do is match a foundation shade to my skin. And when summer fades to fall, so does my tan so updating my foundation color is an absolute must. Sephora’s Color IQ service identifies your skin tone and then pinpoints your foundation match from 1,500 formulas…magical, right? I totally recommend heading into the store for this service—it is pretty dead on. Along with my foundation update, I added a few other products this season that I am absolutely loving. I spilled out my makeup bag (after I cleaned it of course) to show you what I am currently obsessed with and why. Make Up Forever HD Foundation: I love this foundation because it is ideal for photographs, goes on light and lasts all day. Perfect for a wedding, night out or any event you know you’ll be photographed. Urban Decay All Nighter Setting Spray: This stuff is amazing and really does what it says. Apply all of your make up and spray a light mist over your finished face. Trust me, your make up will last all night long. Stiks Lipsticks: Michelle and I just discovered lipsticks because their unique packaging caught our eye but after we tried them on we were equally as in love! 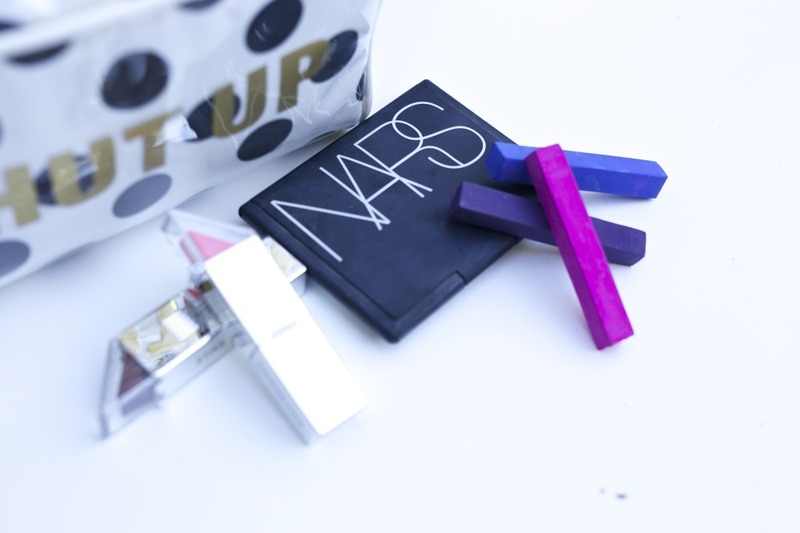 These lipsticks are compact, made to fit in your back pocket, and come in array of delightful colors. Kinara Red Carpet Facial Kit: This mask is part of a peel kit by Kinara. While I love the entire kit this polishing mask is something that I use weekly. It makes my skin feel like it had a mini-vacation. Nars Bronzer: I love this bronzer because it gives you a sun kissed look without overdoing it. Perfect for contouring and highliting. Sephora Highlighting Fan Brush: This brush is amazing. 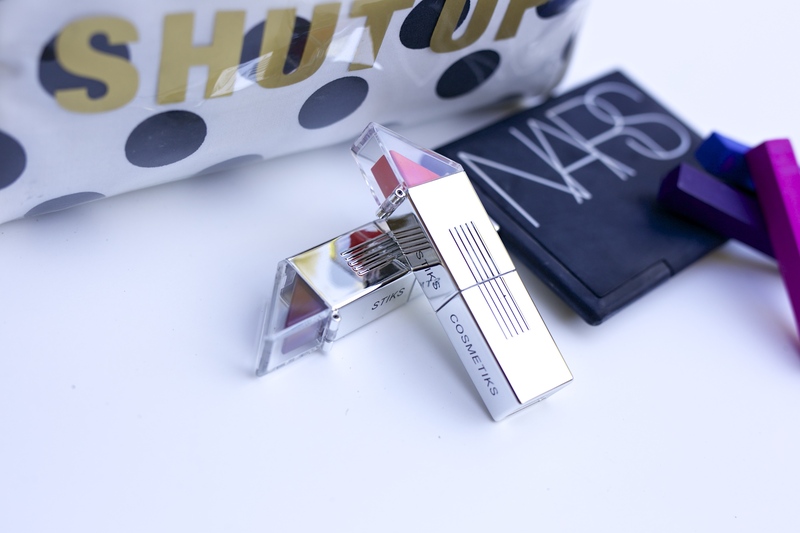 Paired with the Nars Bronzer, this tool gives great contour to your cheek bones and makes them more defined. Hair Chalk: have been having a little too much fun with this chalk set lately but it’s so easy to switch up my color! Best part about it is there is no commitment, this stuff washes out in 1-2 shampoos. Mac Liner in Boot Black: I have tried just about every liquid liner out there and this one is my absolute favorite. I am all about a good cat eye and this liner is the pro’s pick to achieve that defined look. Revlon Age Rewind Concealer: Love this concealer, perfect to hide those under eye bags that—ahem–some of us struggle with. I blend it into my foundation with a beauty blender sponge. Urban Decay Subversion Lash Primer: This is a new product I just started using. I use it to prime my lashes before applying my mascara when I want a thicker/fuller lash look, and it makes me look like I’m wearing false eyelashes! 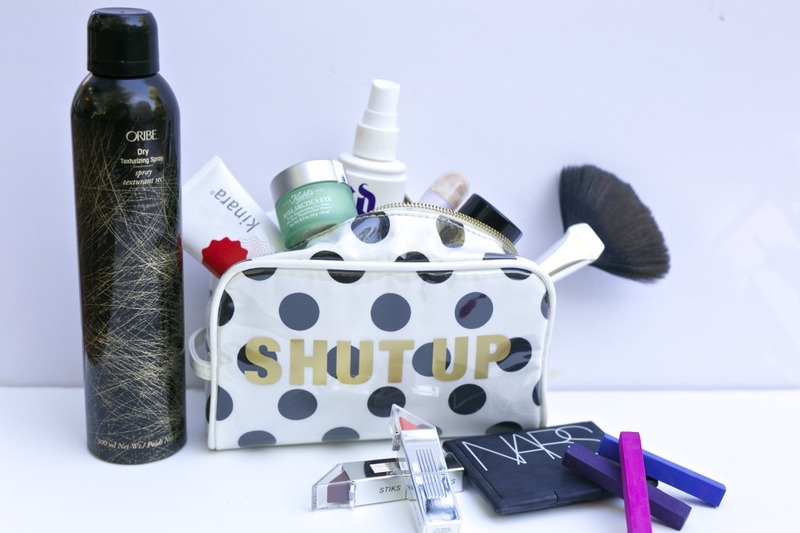 Oribe Dry Volumizing Spray: My all time favorite hair product. Gives my short tons of body and texture. Love love this stuff! I am far from a makeup artist and by no means know everything about make up, but I love trying new products to see what works best for me. 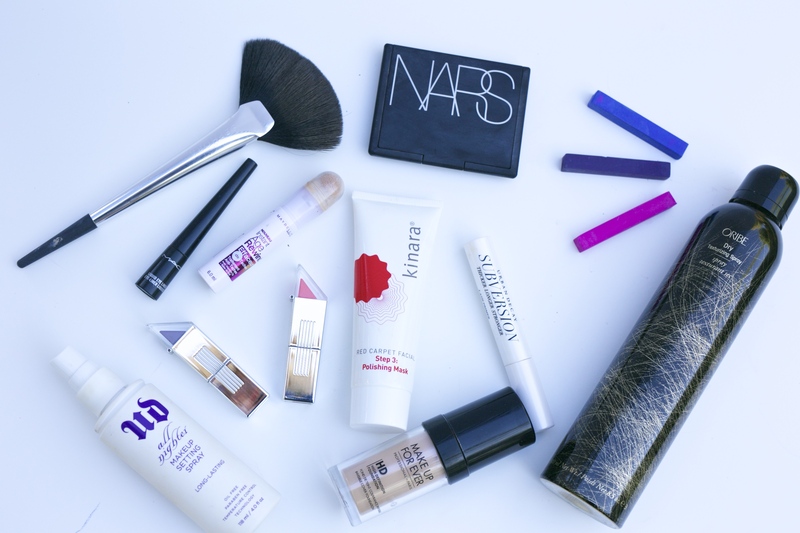 So now its your turn to spill your bags and tell us all about the products that you can’t live without. Comment below and share your beauty secrets with us!